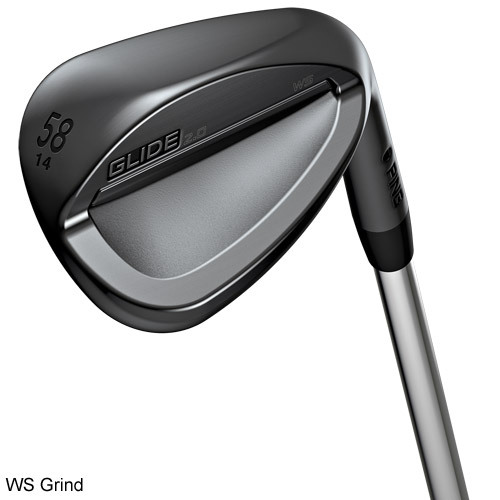 Combining the soft, responsive feel of 8620 carbon steel, sharp loft-specific grooves and a dis-tinguished dark finish, the durable Glide 2.0 Stealth wedges will fit the game and the eye of play-ers for whom performance and appearance go hand in hand. The QPQ finish is highly durable and improves ball interaction with the precision-machined grooves. Adding a 1/2 groove low on the lead edge improves engagement with the ball (specifically low on the face) to significantly increase spin from all conditions. To ensure Glide 2.0 wedges match your game, you can be fit for a sole grind based on your div-ot depth or attack angle and most common turf conditions. An all-purpose mid-bounce sole with heel and trail edge relief to create versatility on touch shots around the green. Ideal for moderate attack angles and divots. Fits most golfers. Full-sole design that provides turf security for players with a steep angle of attack. The reduced camber and added width prevent the sole from skipping into the ball. 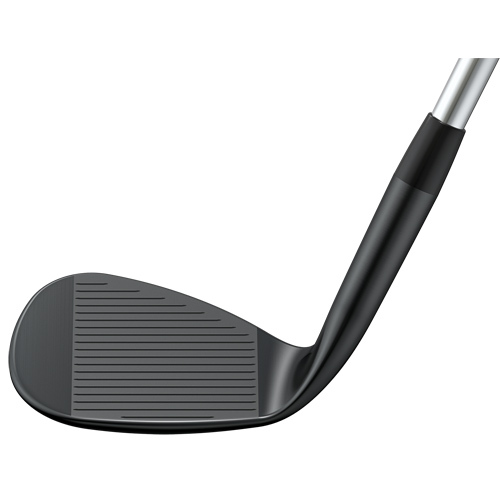 A PING WRX-inspired design based on the Tour-proven half-moon grind. The TS grind facili-tates shot making and precision from even the most difficult lies. The heel relief allows shots to be executed with an open face to difficult pins or from firm lies without fear of the lead edge sit-ting too high. Eye 2-inspired sole design provides the ultimate in bunker performance, resulting from the clas-sic dish profile along with the tapered hosel. A refined lead edge upgrades all-around perfor-mance with the iconic ES grind. 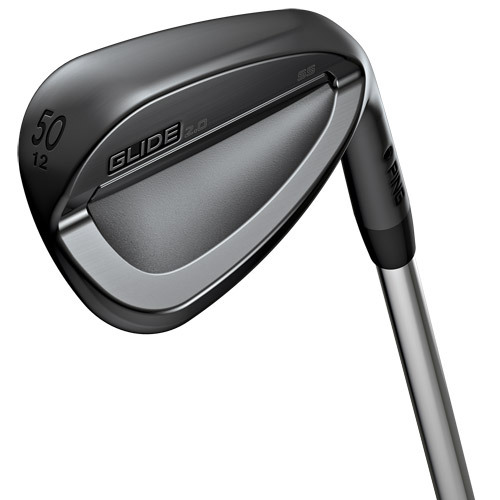 Lower-lofted wedges feature a 20° sidewall milled to maximize groove volume and have 1 addi-tional groove compared to the original Glide. Higher-lofted options have 2 more grooves and are milled with a 28° sidewall and a tighter radius to impart more spin on partial shots.